Learn How To Create Wonderful PowerPoint Presentations When You Register For This Virtual PowerPoint Training Program. Do you want to be an excellent communicator of your company’s products, business models, company’s performance etc? Do you want to create incredible presentations that will wow your audience and keep them asking for more? Maybe you are already a communicator of the above because you are very fluent in the English language; you still have one more step to take if you have not done so. However, before I give you full details about this program, let me enlighten you about PowerPoint. 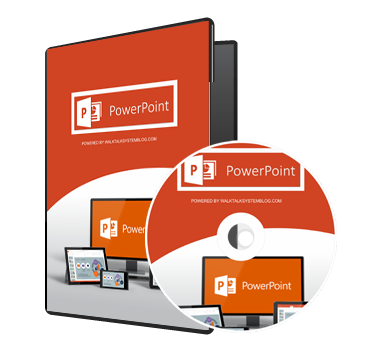 PowerPoint is a Robust application software for communicating ideas, company’s profile products or services etc. It is the first choice when there is a demand to make presentations with visual impact just beyond the office meetings. This software is good for speakers, financial analyst, accountants, and any communicator who want to create a lasting VISUAL IMPACT on their audience. Also, if you want to overcome the anxiety of speaking, you can resort to this tool because it shifts the focus of the audience from the speaker to the presentation slides. PowerPoint Creates Visual Impact On Your Audience. With the Multimedia tools available on PowerPoint, you can make your presentations very interesting thereby increasing interactivity between the Presenter and the audience. You Have Extensive Sharing Of Your Contents. You can broadcast your presentations in real-time and people from other parts of the world can see your presentations at the same time of presentation. You can also output same to other web platforms like YouTube, Screen cast or even package your presentation on CD, videos etc. Create Powerful Presentations with stunning graphics and animations. Access your presentations from different remote locations. Create a personalized video experience. Create powerful handouts for your audience with custom structure. Why This Virtual Training Course? To enhance your soft skill set and increase your marketability in the job market place. To create flexible timed structure for individuals who lack the time to enhance their PowerPoint Skill but lack the time to attend onsite training. To ensure that individuals can afford the cost of enhancing skill sets with MS-Office Programs and also create lasting effect on the audience with the videos which can be reviewed at any time. This is in contrast with onsite training that are of shorter duration. All the above problem you might face has been solved by this course. Module 1-Understanding The PowerPoint Environment:-This Module comprise 2 videos which takes you through an overview of PowerPoint as well as the PowerPoint Environment. Module 2-Creating A New Presentation-This Module comprise 2 videos which teaches you how to create a new presentation, Adding Slides and free-form text, use guides and grid-lines, quick navigation among presentations as well as saving presentations. Module 3-Understanding PowerPoint Views-This module is a single video that helps you to understand various PowerPoint Views and their uses, deleting slides and moving slides from one presentation to another. Module 4-Formatting A Presentation-On this module, you have 2 videos which teaches you how to use a presentation theme, format texts and slide background, creating custom-bullet lists, and using the format painter tool. Module 5-Adding Objects To Your Presentation-On this module, you have 8 videos which teaches you how to create and edit charts in PowerPoint, including a Combination Chart, Format charts, change chart type, how to use chart contextual tabs-Design, Format, Layout and also understanding a Pie Chart specific feature. Also, you will learn how to create organizational chart, change the structure of your chart using the Smart Art Contextual Tab, Creating Clip Art objects and pictures as well as Editing pictures and Clip Art Objects using the contextual tabs. Finally, on this module, you will learn about how to use WordArt, Drawing objects as well as Grouping multiple objects as one. Module 6-Running A Slide Show-On this module, you have 5 videos that teaches you about slide show, how to draw on the screen using your mouse during a presentation, turning your mouse to a Laser Pointer during a slide show, Rehearse Timings, setting up the slide show dialog box, adding Narrations to your slide show, creating multiple slide show from one presentation file, Creating Action buttons or Hyperlinks, Broadcasting your slide show over the internet for real-time viewing. Module 7-Transition And Animation-On this module, you have 3 videos that teaches you how to create and customize transition effects, create and customize animations, animating objects such as charts, customizing your objects or animation to follow a Motion Path and also customizing Motion Path. Module 8-PowerPoint Template-On this module, you have 1 video that teaches you how to use the PowerPoint templates, create your own templates and save your templates. Module 9-Adding Speaker Notes-On this module, you have 1 video that teaches you how to add speaker Notes, Use Speaker Notes to aid the Presenter and also customizing the Note Master. Module 10-About Slide Types And Layouts-On this module, you have 2 videos that teaches you about slide layouts and their uses, how to customize the Slide and Handout Master, Creating Multiple Slide Masters, Editing Theme, Adding Background image to the Main Slide Master and hiding Background Image on A Sub Slide master at the same time, Adding logos to your slide Master, Printing slides etc. Module 11-Creating Tables On A PowerPoint Presentation-On this module, you have 1 video that teaches you various ways to create tables, Use the Table Tools to format your table and also change your table structure. Also, you will learn how to merge multiple table cells and also split a single table cell into multiples sections. Finally, you will learn how to turn off table styles and create your own Table template as well as format text effect. Module 12-Creating A Flow Chart-On this module, you have 2 video that teaches you various ways to create a flow chart, the best flow chart connectors to use, adding text questions to flow charts, aligning your flow chart objects, enhancing your flow chart objects with different effects. Module 14-How To Embed and Link Program Objects-On this module, you have 1 video that teaches you how to embed or link external program objects such as Ms-Word, Excel, PDF. How to use the Copy and Paste Special Command to link External Program Objects with PowerPoint Slides. Module 15-Adding Multimedia Objects To A Presentation-On this module, you have 1 video that teaches you how to add and format a video in PowerPoint, Editing Videos in PowerPoint, Customizing Videos for Slide Show display, Exploring the linking option for adding videos to a PowerPoint presentation. Module 16-Creating Photo Albums And Capturing Screen-On this module, you have 1 video that teaches you how to create photo album, customize same and also capture screenshots. Module 17-Finalizing Your Presentations-On this module, you have 3 Videos that teaches you what to do before share your presentations. Another subject matter was also added such as how to create slides from MS-Word. More so, you learn how to share your presentations via emails, package for CD and also convert your presentations to a Video.